Little says more about who you are as a person than your smile. A smile that is given easily to those around you is inviting, personable, friendly, and confident. On the other hand, a smile that is hidden or not freely offered tends to give the impression that you are the exact opposite. Professional teeth whitening is the most popular cosmetic dental service, and even for those with imperfectly aligned teeth, whitening the teeth can produce dramatic results and give you the confidence you need to flash your smile. Professional teeth whitening is a safe procedure. Done in the comfort of your dentist’s office, your dentist and dental staff take every precaution to protect your gum tissues and the roots of your teeth. At-home whitening kits rely solely on your application, and it is difficult to control the placement of strips or gels when you are using two hands to juggle the whitening gel, your lips, the application, spitting, and breath intakes all at the same time. The application is the most important part of a teeth whitening procedure, and it is difficult to do on your own. 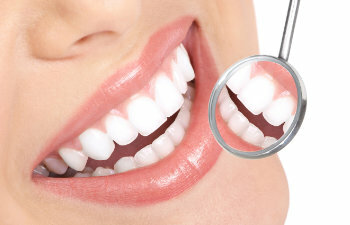 The professional teeth whitening gel that your dentist uses is far superior to any that you can find over the counter. There is not a single product available at a drug store that will produce the results of a professional teeth whitening procedure. The gel formulas used at the dentist are highly concentrated to lift stains and discoloration quickly and effectively. Most procedures require only one visit that lasts about an hour, while over the counter products require multiple uses over a period of time. There are many causes of tooth discoloration: regular coffee consumption, alcohol consumption, tobacco usage, and the natural aging process all contribute to the yellowing of your teeth. Professional teeth whitening is successful in lifting discoloration and revealing a beautifully bright, white appearance of the teeth. Of course, everyone is encouraged to give up tobacco use and limit alcohol consumption for the benefits of your entire health, but these will also help you achieve a whiter smile that lasts longer. Gold Hill Dentistry is proud to offer professional teeth whitening to our patients. We want to help you find a smile that is confident and radiant. Call us today to learn more and schedule an appointment.